The bill improves communication between the Department of Developmental Services (DDS) and individuals with intellectual and developmental disabilities. 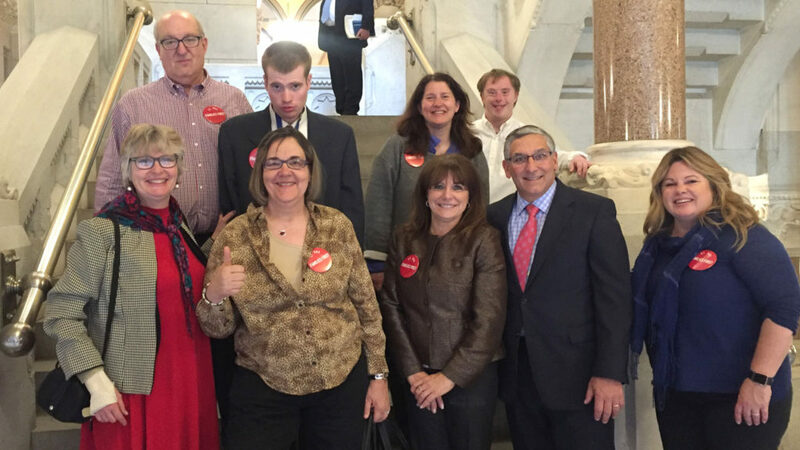 Hartford – Senate Minority Leader Len Fasano (R-North Haven) stands with members of CT DDS Families First following the General Assembly’s final approval of Public Act 16-60. The bill improves communication between the Department of Developmental Services (DDS) and individuals with intellectual and developmental disabilities. This bill requires DDS to provide families with crucial information about their eligibility status for state resources. The bill now heads to the governor’s desk. To learn more about the legislation click here.